My name is Susan Stimson. ​ Throughout history, sages and visionaries alike have shared what modern physics has proven to be true. Everything is energy. Light is energy and we as humans are energetic beings, each carrying within us our own spark (or light) of consciousness. We, especially here in the western world, aren't taught about our inner light or how it guides us onward along this incredible journey of discovery called LIFE. Light Workers are the re-kindlers of this inner light. We teach you how to become aware of, feel and use your own light (energy) to transform your world. Each practitioner possesses unique gifts that manifest as talents, strengths and chosen modalities. These gifts are used in service to wholeness. We hold the vision of your wholeness until you are able to share and hold that vision for yourself. We also hold a safe and loving space for you to explore the totality of who you are. The understanding that develops within you as you bring the light of awareness to your inner world brings transformation to your outer world. This transformation brings with it unimagined treasures. Perspective changes and therefore so do you, your world and how you live in and experience it. 8 Windows Wellness. You will find more information on the actual programs on the program page. Chakradance is an energetic, therapeutic healing modality that is a fusion of free-style dance movement, meditation and mandala artwork. We introduce you to the Chakras and then explore them on multiple levels through the Chakradance class experience. Please visit the Chakradance page on the above menu to learn more. ​Meditation is just one of the incredibly valuable tools we use for creating transformation and healing. Once learned, it becomes a practice that grows and changes as you do. A daily meditation practice is a gift of love and honor to the self and will be with you for a lifetime. Through meditation 8 Windows Wellness will introduce you to your own inner wellspring of life force energy- the Human Energy System. You may also have heard it referred to as the Chakra System. 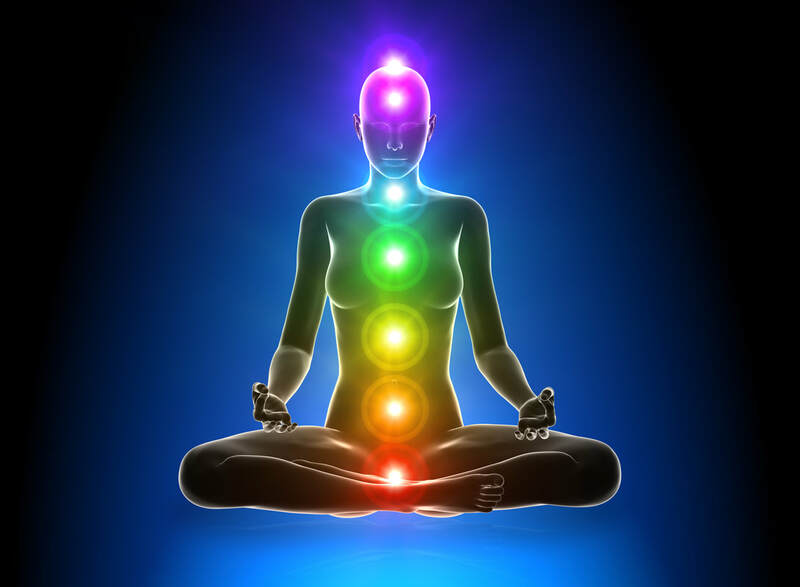 This Human Energy System or Chakra System consists of many minor chakras and 7 major chakras. The word Chakra is an ancient Sanskrit word that literally translates to "wheel" or "disc". These wheels spin continuously throughout your lifetime and function as vortexes for the taking inward and releasing outward of energy. They do so whether you are aware of them or not. Most of us in the West have not been conscious of them however that is rapidly changing. ​ to teach meditation as a tool for creating deep relaxation, stress reduction, mindfulness and self-awareness. A daily meditation practice supports you in creating a healthy sense of balance in your daily life. The 7 Major Chakras are aligned along the spine from the tailbone to the crown of your head as pictured below. Each chakra resonates to an energetic vibration of a particular color. The flow of the chakra system follows the color form of the rainbow. The Root Chakra- at the base of the tailbone, resonates to the color red. It relates to our groundedness and sense of safety and survival. The Sacral Chakra- about 2 inches below the navel, resonates to the color orange. This chakra holds our sensuality and sexuality along with our creativity. The Solar Plexus Chakra- about 2 inches above the navel, resonates to the vibration of yellow. Our personal power resides here. The Heart Chakra- in the center chest area, resonates to the color green. This chakra holds love in all its myriad forms. The Throat Chakra- centered in the throat, vibrates to the color blue. This chakra relates to our ability and willingness to both communicate and to listen. The Brow Chakra- also known as the third eye and located between the eyebrows and up just a bit, resonates to the color violet or indigo, depending on your practice. This chakra holds our knowledge, insight and wisdom. The Crown Chakra- located at the crown of the head, resonates to the vibration of pure white light or violet, depending on your practice. This chakra is our connection to the Divine. Please visit the next page.